Following a test at the Circuit de Barcelona-Catalunya three weeks ago, the Movistar Yamaha MotoGP Team return to Barcelona for round seven of the MotoGP World Championship. 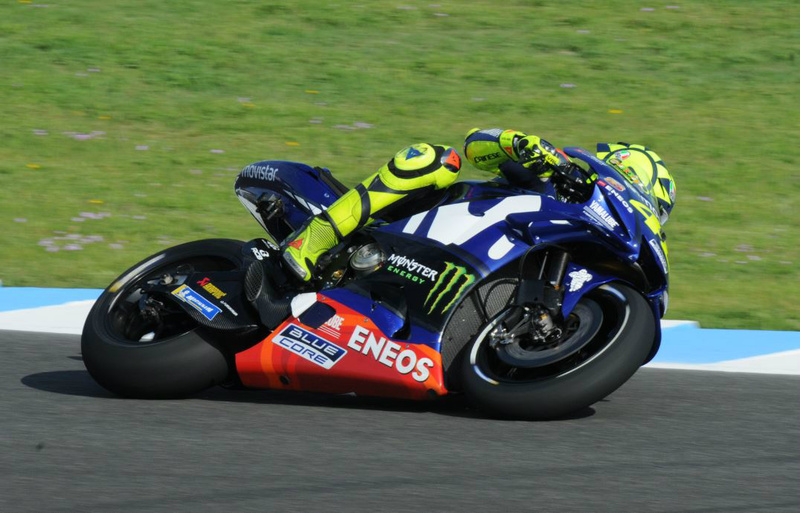 After securing a third place at the Mugello circuit, being serenaded by the Italian crowds, and simultaneously taking over second place in the championship rankings, Valentino Rossi is ready to commence the championship battle in Barcelona. The Doctor has a 23-point margin to the leader in the standings and hopes to strengthen his position as a title contender this weekend at a circuit that he knows like the back of his hand. He holds an impressive 13-year podium streak there, that lasted from 1997 to 2009 and was spread out over various classes (MotoGP, 500cc, 250cc and 125cc). He has secured the victory at the Montmeló track ten times in total, seven of which whilst competing in the premier class (2001, 2002, 2004, 2005, 2006, 2009 and 2016). The Gran Premi Monster Energy de Catalunya is also a round Maverick Viñales looks forward to. He previously achieved four consecutive podium finishes there in the lower classes, with a second place in 125cc (2011), a first and third place in the Moto3 championship (2012 and 2013), and a second position in Moto2 (2014). He is yet to climb onto the MotoGP rostrum in Barcelona and has made that his goal for this weekend. Though the previous rounds demanded considerable effort from the Spaniard, the youngster still holds third place in the championship rankings, just five points behind his teammate. The Circuit de Barcelona-Catalunya has featured on the MotoGP calendar for more than 25 years now. It soon became a crowd favourite after hosting its first MotoGP race in 1992. The Catalan round is known as one of the most atmospheric and thrilling races on the calendar. This was further highlighted when the venue won the IRTA 'Best Grand Prix' trophy in 2001. However, the recent tragic passing of Andreas Pérez after round four of the Moto3 Junior World Championship, held in Montmeló last weekend, will cast a shadow over the upcoming GP. The Movistar Yamaha MotoGP Team's and Yamaha's thoughts remain with the family, friends and team of Perez this weekend.